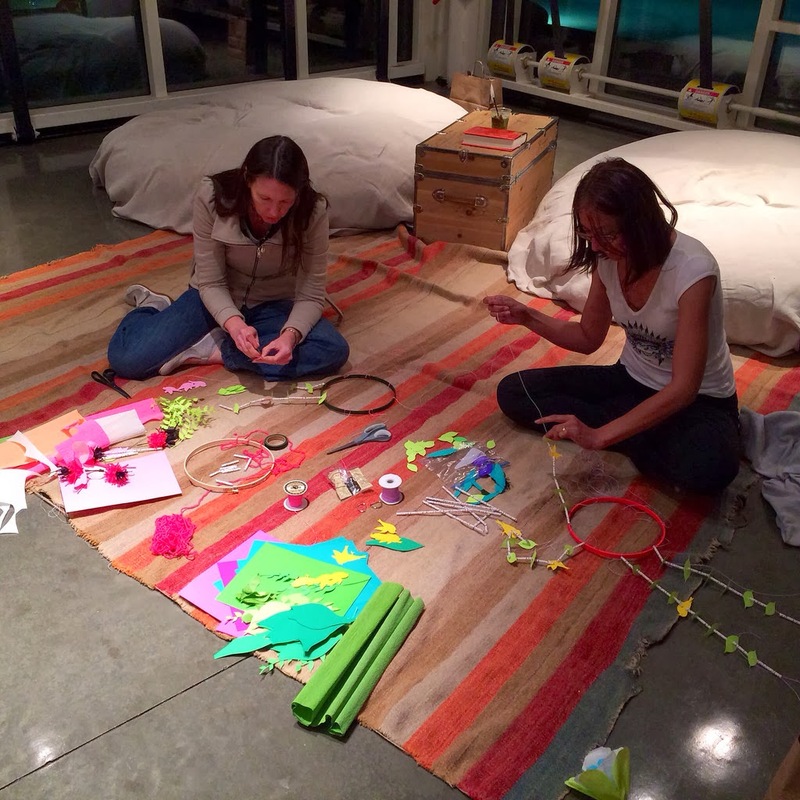 More improv: Especially if you count UFO's from workshops! 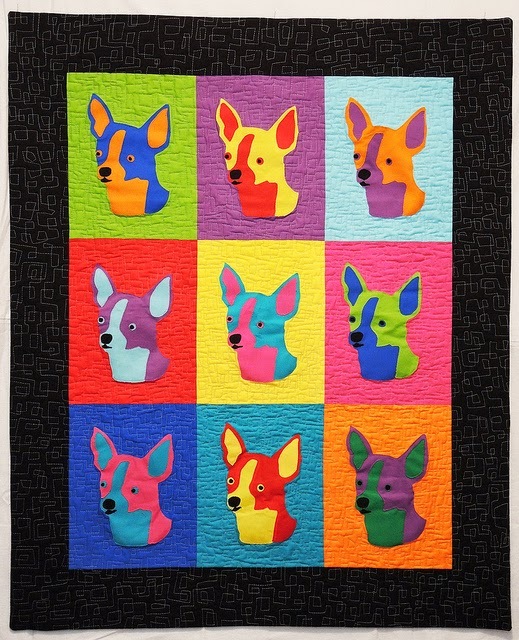 Both of the Michael Miller quilts and Goats Askew I would consider improv - their design developed in a very organic way. The "second front" of these two were improv as well. 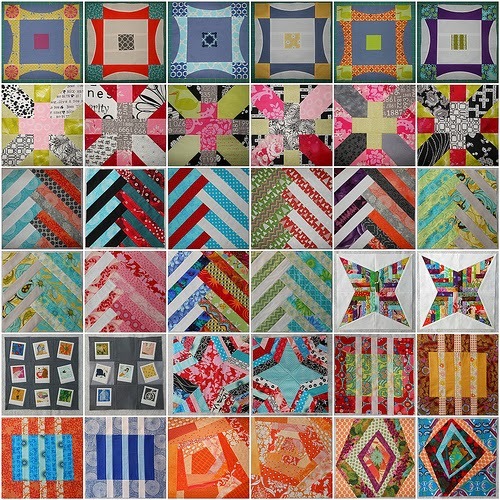 Use of Solids: Not necessarily exclusive use and less than many modern quilters, but for me it's a big bump. 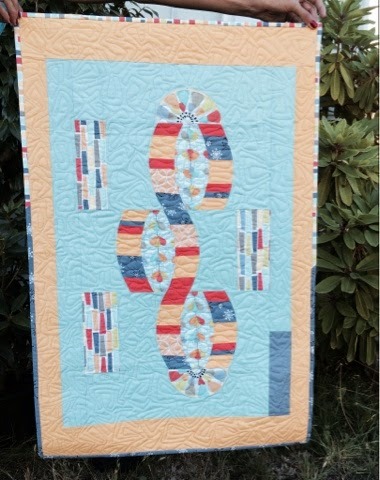 The last one is a collaborative quilt that I helped with and did the FMQ on. 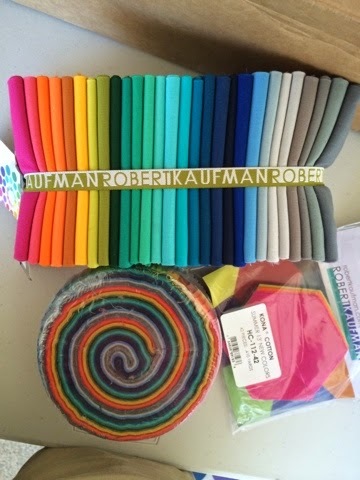 My stash of solids grew if that counts! 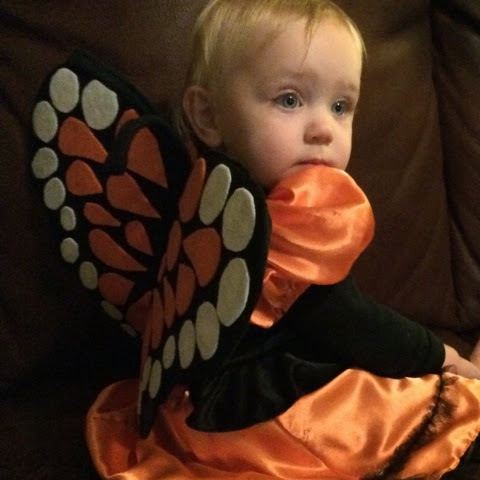 Garments: a (super cute) Costume and modified onesie are all she wrote. Fewer New UFO's: Although the post starts with confessions of new UFO's they are still accumulating at a rate lower than I've been keeping. "A" for effort, I tried. 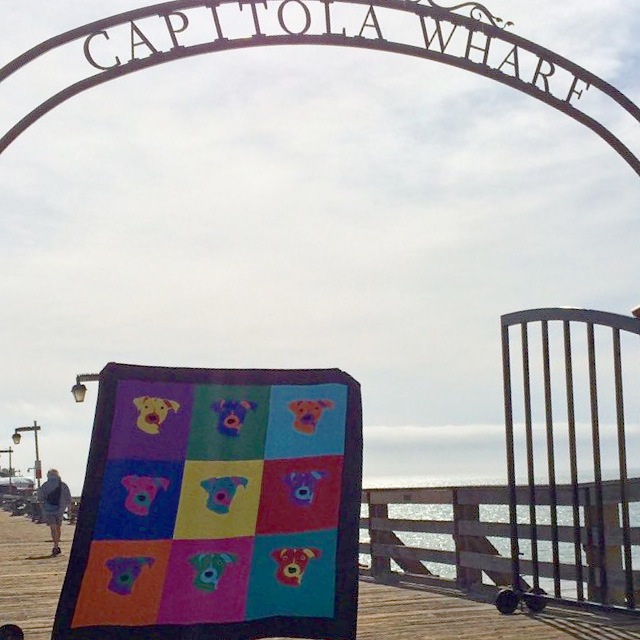 The wind, the tourists walking by, the size of the quilt vs the height of the holder... this goal is definitely a work in progress and one I hope to improve on. 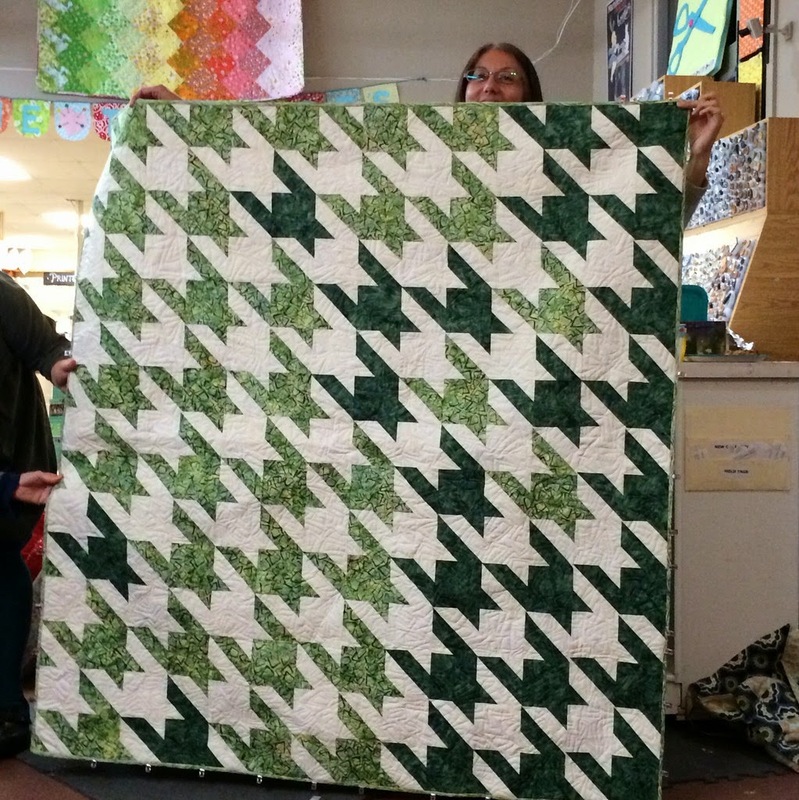 Three Tardy Birthday Quilts: the first of three. 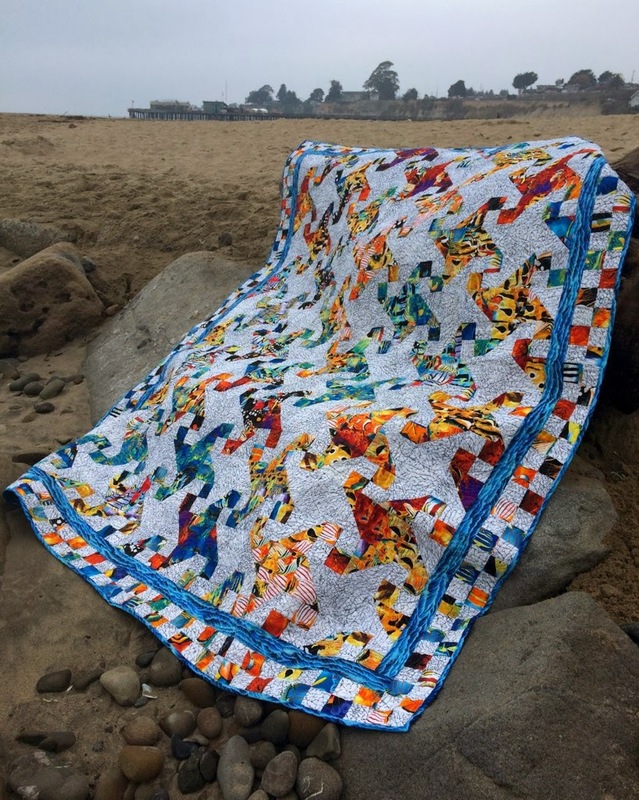 Just this week I nailed down the design direction for one of the other Birthday quilts - some variation of delectable mountain - so that's progress. 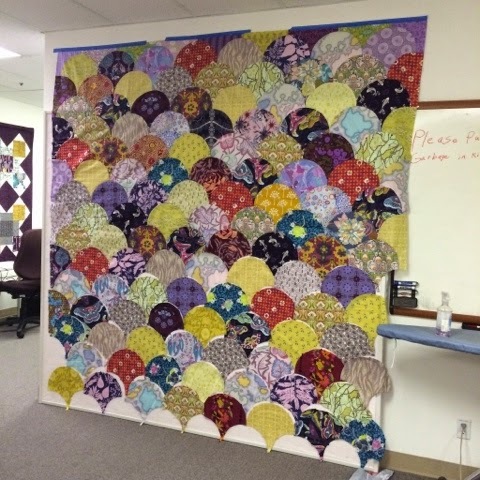 Two of Two Wedding Quilts: THIS goal is HUGE! Both were gifted and are loved. After joining the IGmini Swap I changed my IG profile from private to public and my followers and following are almost the same number, even if they aren't the same people! I'm calling 554 posts "active" and although it may be less regularly, I still blog and check in with flickr and thanks to QDAD, I'm on Facebook daily. 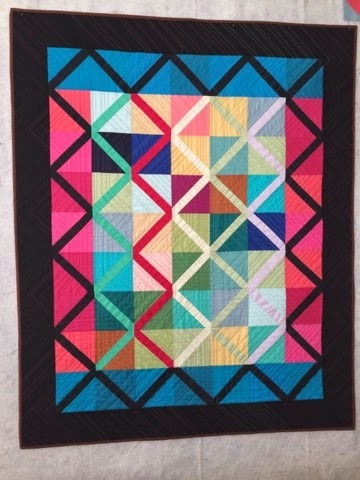 Link Ups: All things considered, I' patting myself on the back about Finish It Up Friday, WIP Wednesday, ALYOF and 2014 FAL. Even though Q4 had seven items and I finished two (Redwood Grove and IGmini shown above), Q3 was three for three, Q2 was a bust and Q1 was one out of four, I'm still calling it a win because there were no double digit goals set and stuff got done! I'd love to hear what you have in mind for the New Year, any rollovers? 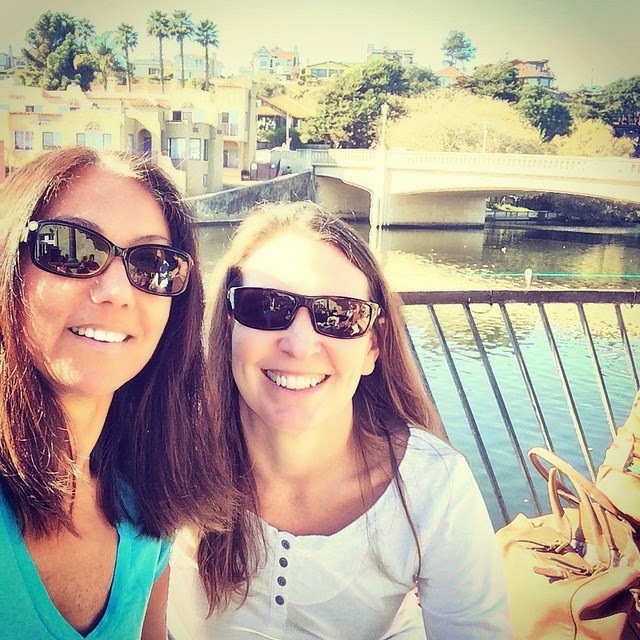 Ginny and I came so close to getting together on a fluke when our paths almost crossed while vacationing in Phoenix this last Spring but our schedules didn't cooperate. Hopefully we will meet some day soon. 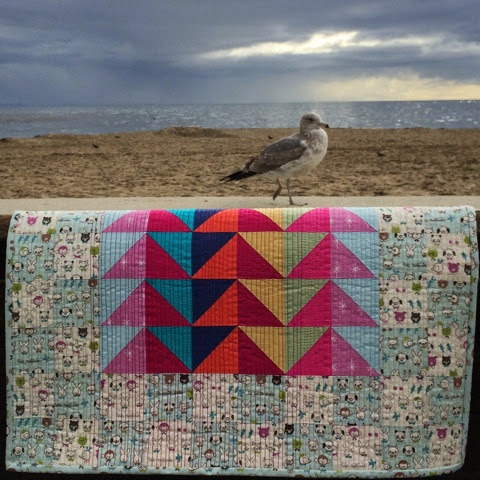 My backstory is in this Let's Get Acquainted Blog Hop Post from summer. Here's the Readers Digest version and I'm dating myself by using that reference: My name is Karen and I live in Capitola, a small beach in California. 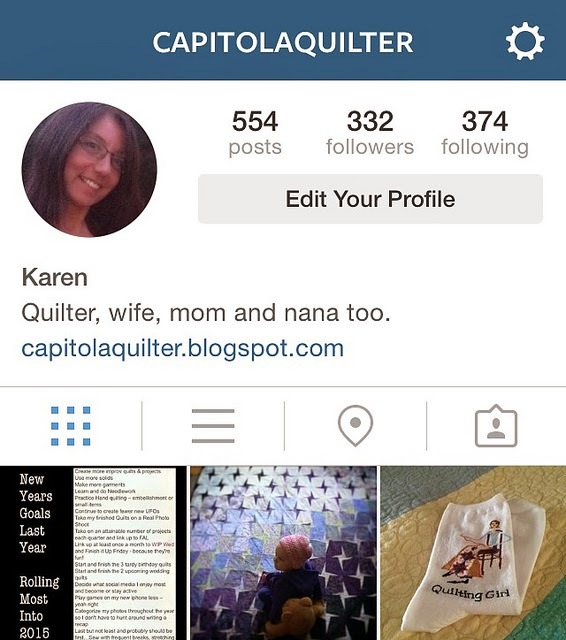 I love to quilt and started blogging in March 2012. 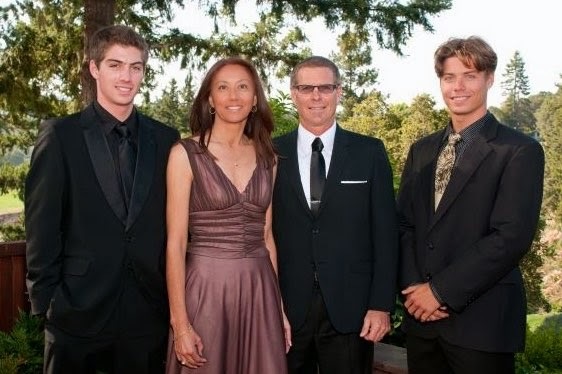 Hubby and I are proud to have two amazing sons and an adorable granddaughter. You'll see lots of her as well our our two dogs all over IG and the blog. I recently added an About Me tab including this picture, one of my favorites. 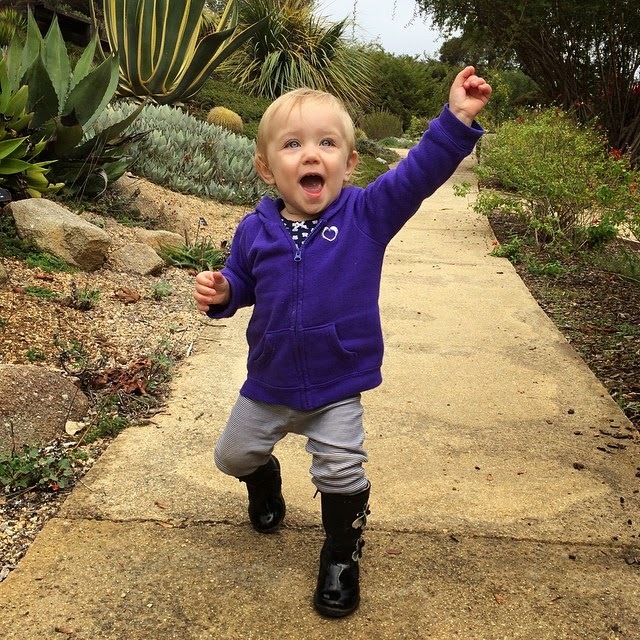 As 2014 wraps up, there's lots of reflecting back and looking forward. I haven't gotten my act together for the Year In Review like I did in my 200th Post for 2013 with a staggering 23 finishes or when I completed 13 quilts and 9 tops in 2012 where it took 5 mosaics for all the bee blocks and other projects. 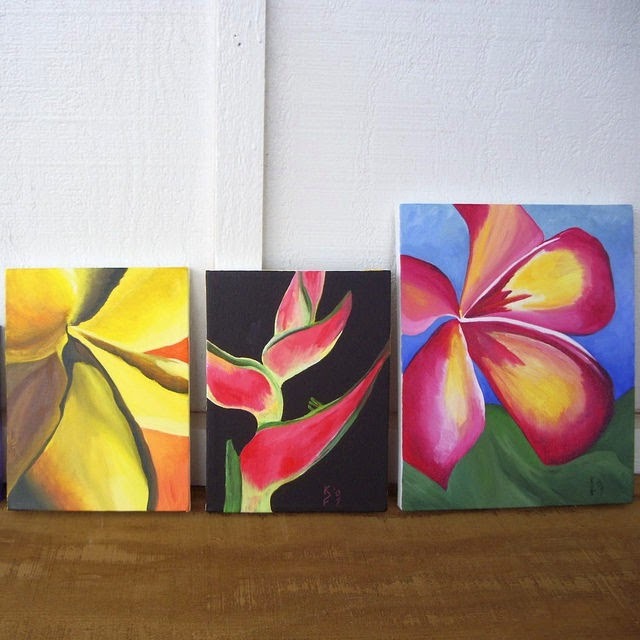 I'm just not that prolific anymore, but I still try! 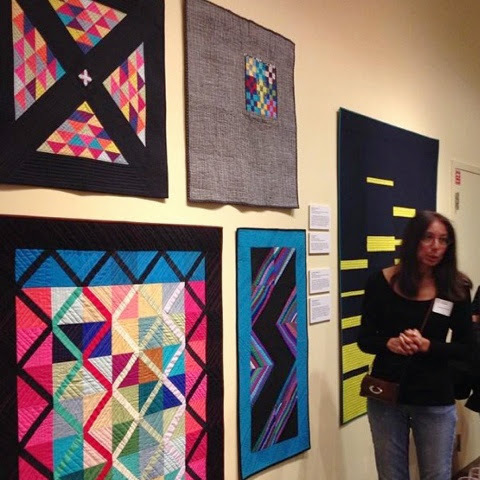 The most exciting thing lately (maybe ever) was having the two quilts on the far left in the Amish: The Modern Muse, a juried exhibit at the San Jose Quilt and Textile Museum Fiberspace, November 15, 2014 -January 3, 2015. 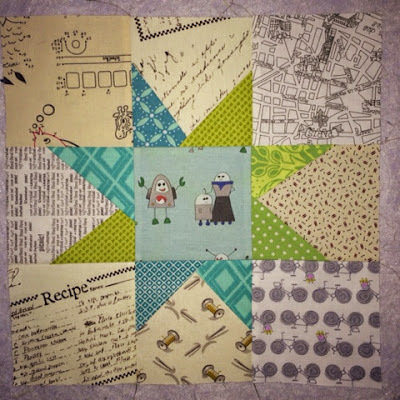 One of two cute scrappy blocks were made for a friends collaborative baby quilt. 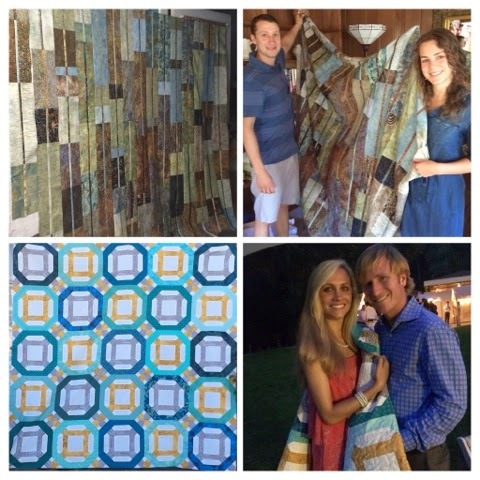 I was thrilled to contribute and it turned out adorable, oh - and so did baby! 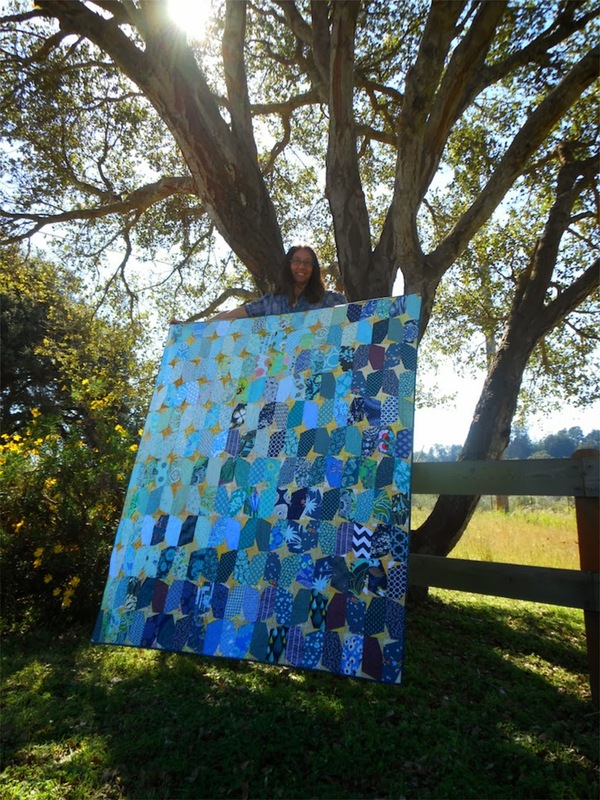 When I got into quilting and before I discovered the Modern Quilt movement, I collected quite a lot of Batiks and still enjoy them. 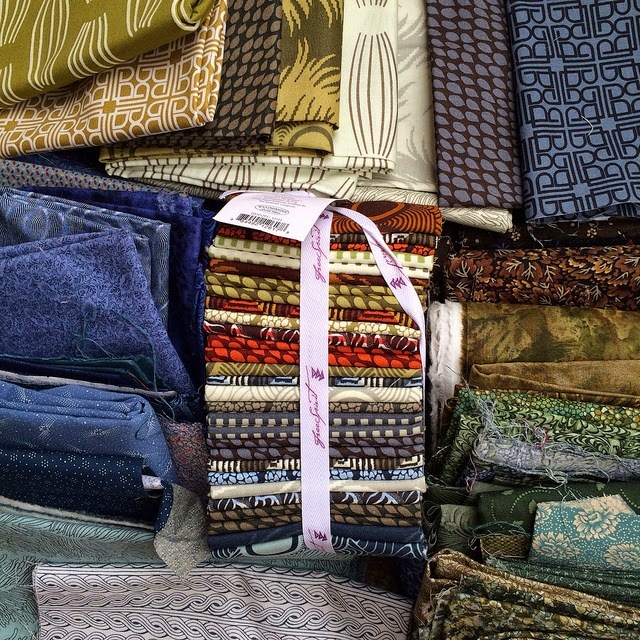 Often mixing designer fabric with it or exclusively like in Redwood Grove. 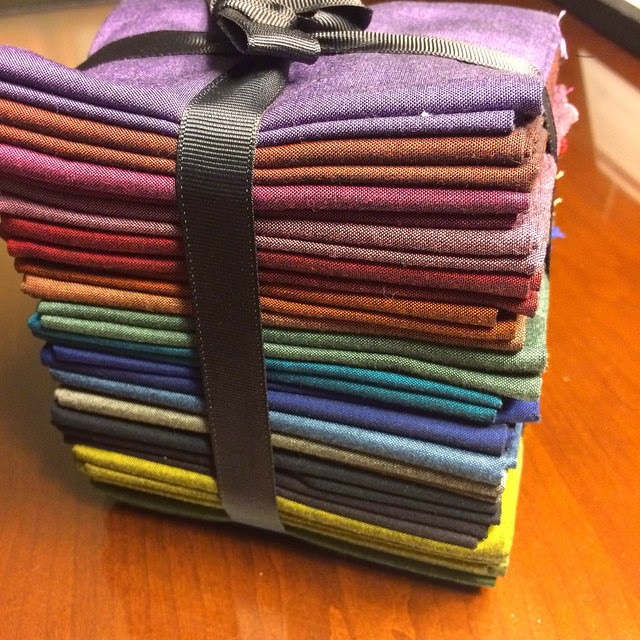 One of the first blogs I followed was Wanda at Exuberant Color and making a Cobblestone is still on my bucket list. 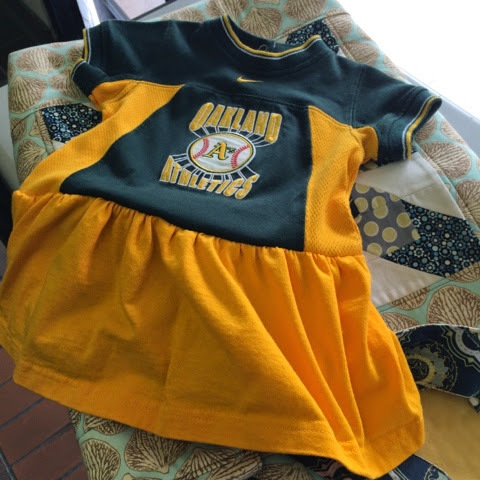 I consider myself new-ish to Instagram and really loved my first swap there. Lots of familiar flickr friends and new ones too. I'm still struggling with figuring who is who and finding people - I hope you'll find me! 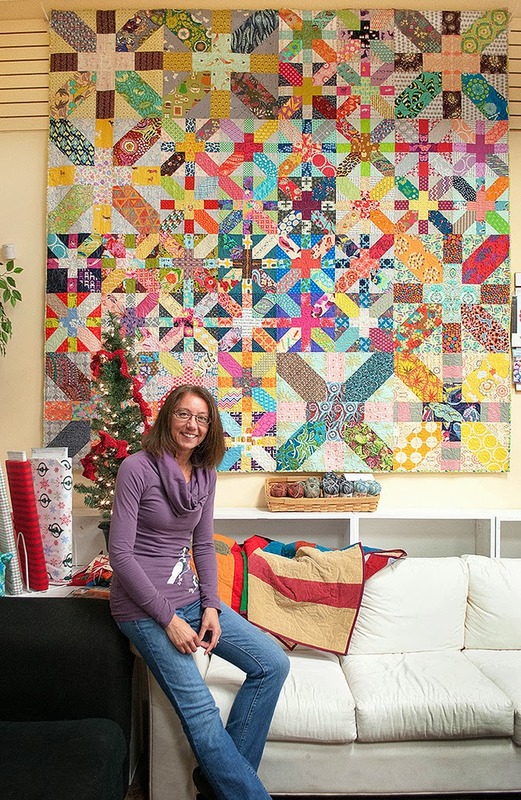 With 134 designs under my belt, it's about time that I made a quilt don't you think? 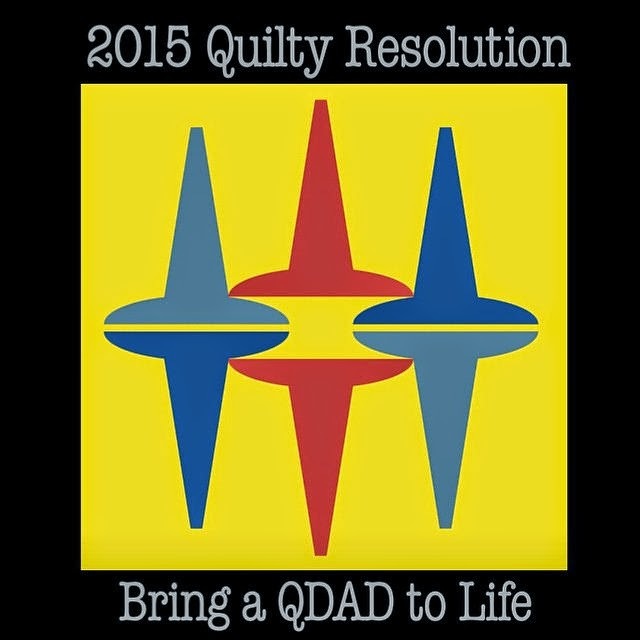 If you don't already know about QDAD , quick - go check it out on Facebook! 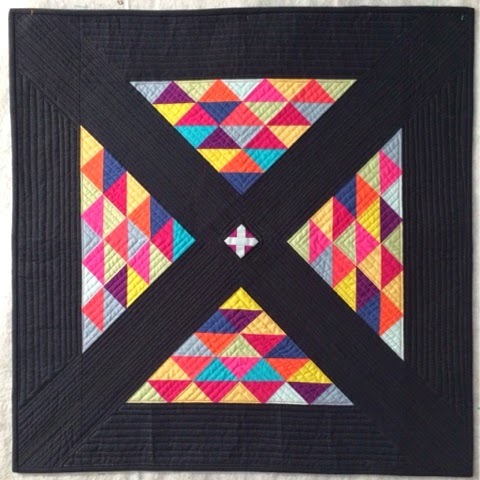 Quilt Design A Day has been so much more rewarding since I've graduated from Lurker status to active Member posting regularly. I'm about to be elevated to Sparker, providing my own photos as the inspiration images for the group the week of January 4th. 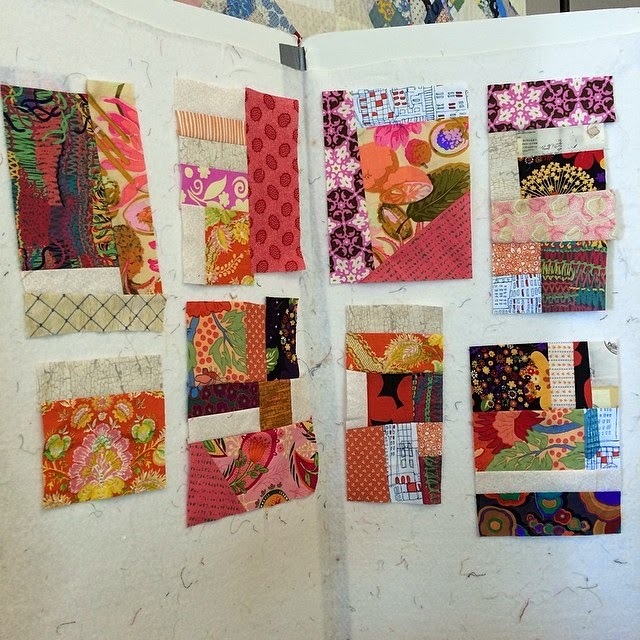 This Travelin' Pic Stitch post from 2 years ago shows how I used the Play-Craft's Palette Builder back then. 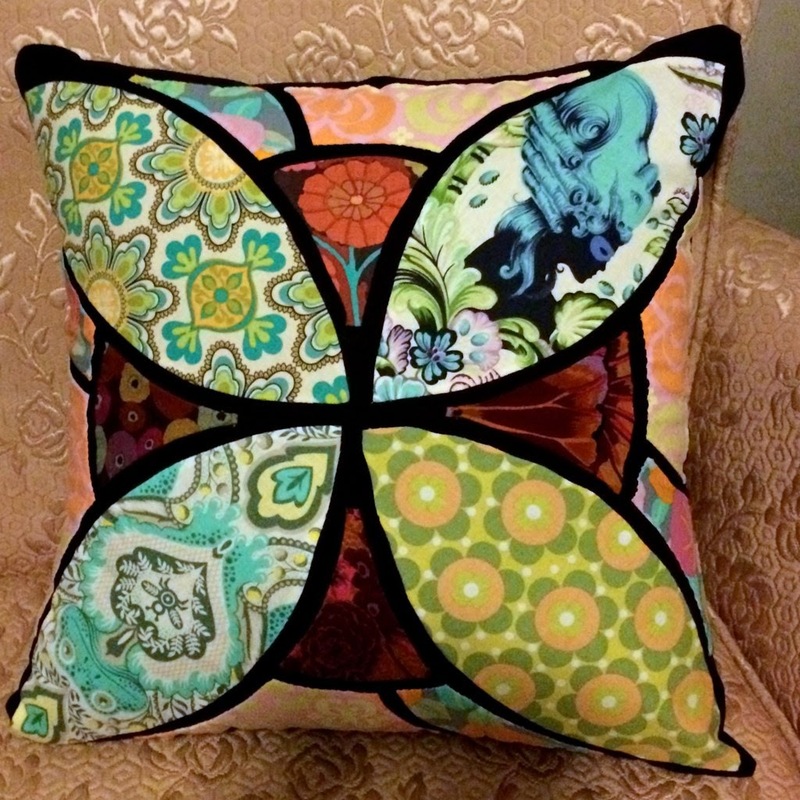 Now it has a Kona, Aurifil and Hex Value matching option - I'm considering this for one of my days, we'll see. If you don't have software and want to try out a free one, Inkscape has been great. 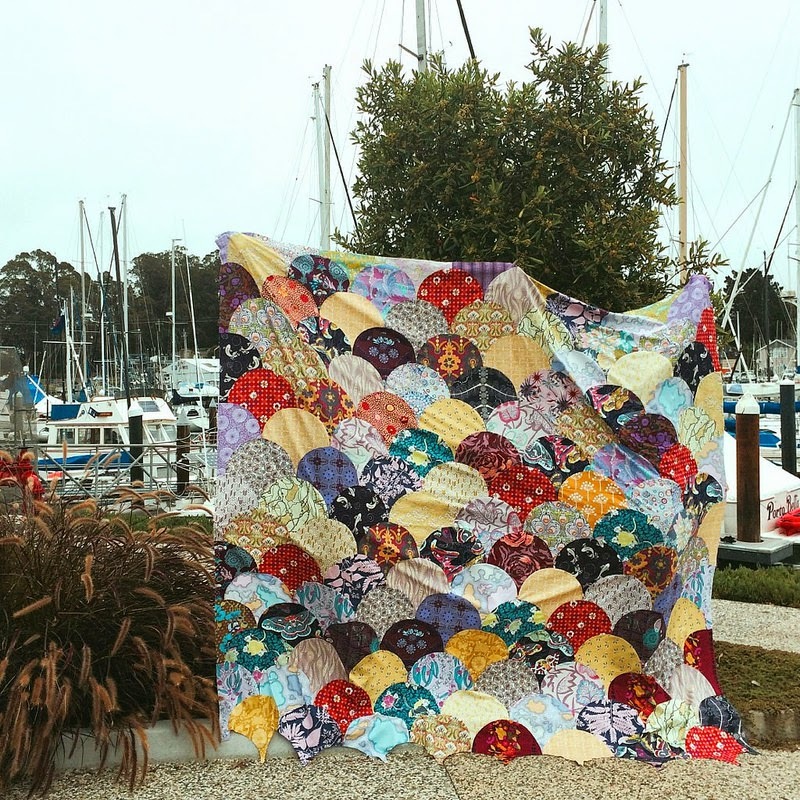 I'm starting the New Year out with a combo of two IG groups, #SewYourStash and Ginny's #ScrappyLogCabinAlong or at least that's the plan. 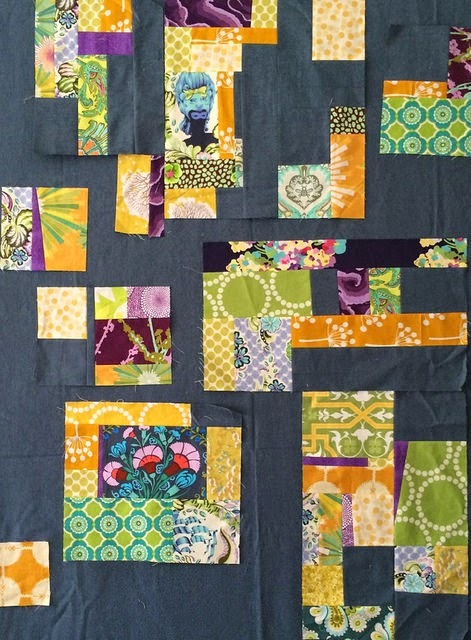 My idea is to take 3x6 or 4x5 Bee Blocks and use them for the centers, surrounded by stash scraps to create a Converging Corners quilt. I received some great ones and because they're tucked away in a box, I don't have a picture but I found this random mosaic of some I've made. 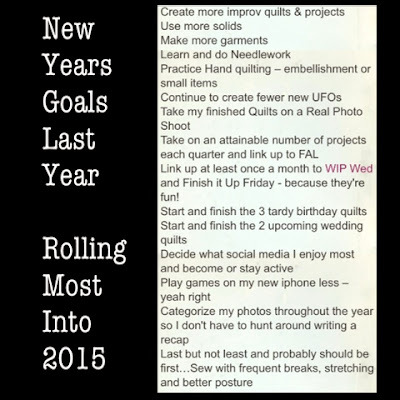 Did I mention I started blogging to document and get organized? Well, it's not exactly a hot mess but things do tend to get shall we say "unkept". I've got a pretty long leash when it comes to my quilting and that extends to blogging. I'm happy to be perfectly imperfect. 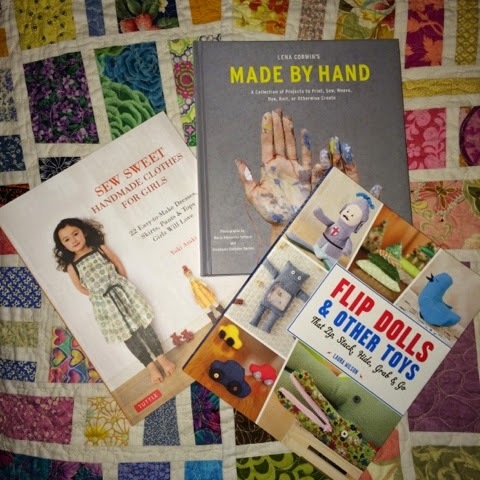 Branching out to include 3-D sewing like clothes and toys keeps getting bumped. I'm hoping these books will get some good use. 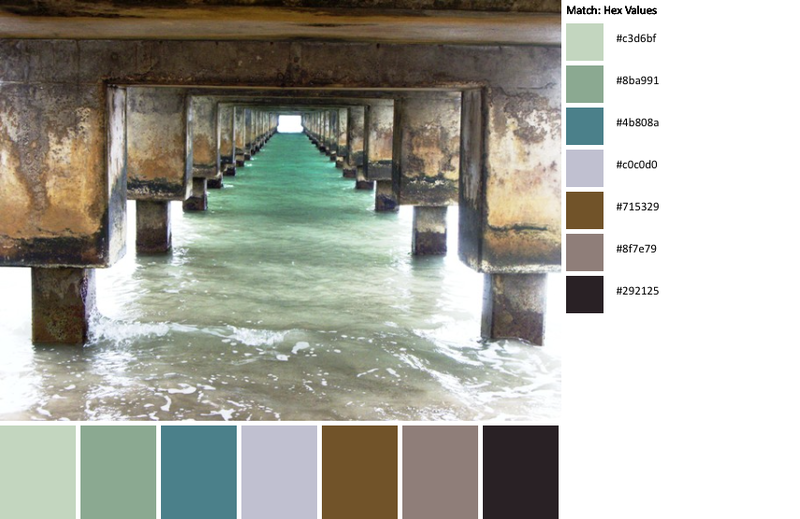 Another challenge I'd like to be part of for 2015 will be the Pantone Color of the Year co-hosted again by Adrianne and Anne. I'm more of a fan than many as you can see from the dress I wore to my niece's wedding a couple of years ago. I'm so much happier when I do. 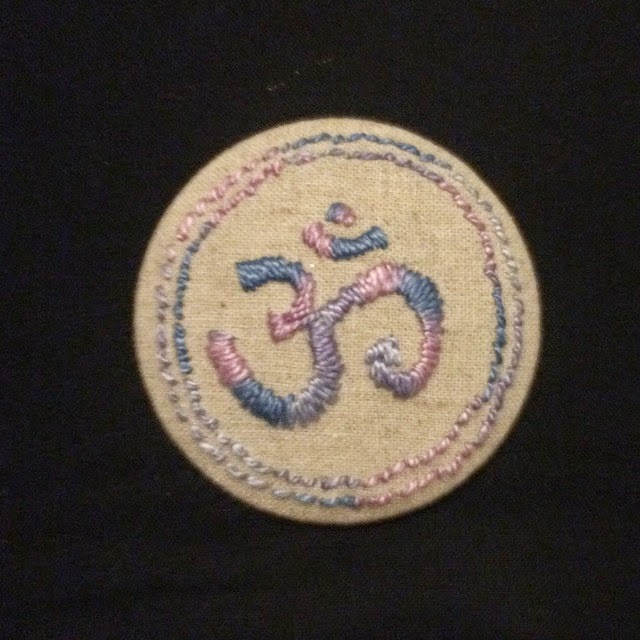 I've always felt the need to make things. 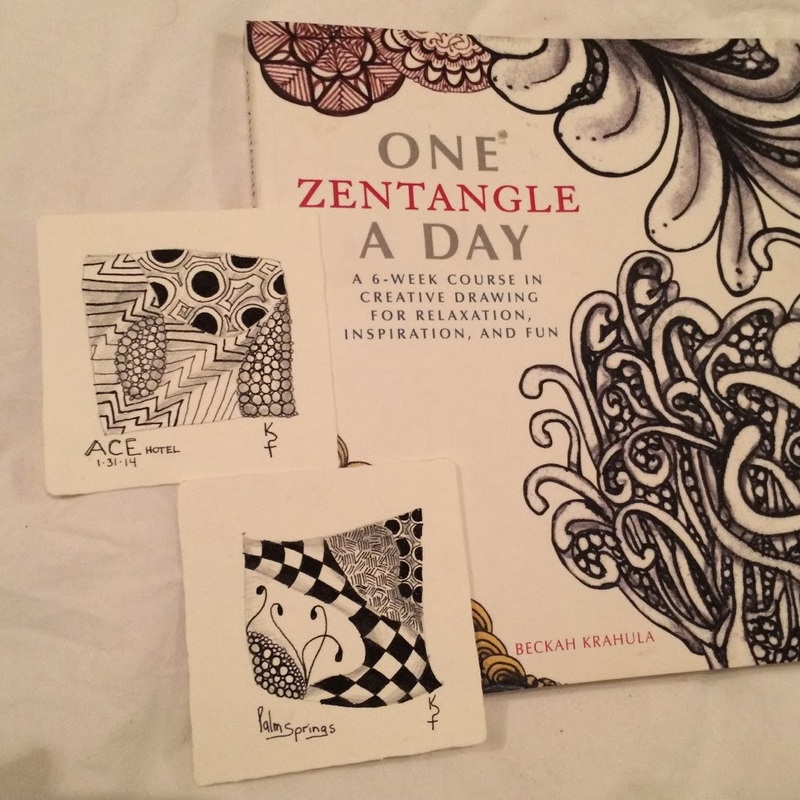 Back in the day - I use to draw and paint and loved it - I even crocheted. 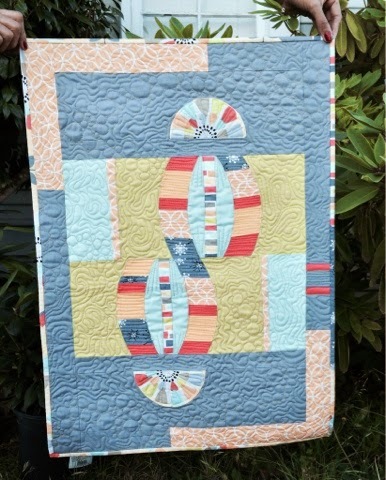 Quilting has filled that space pretty well with the vast styles, techniques and materials that I have barely touched on. 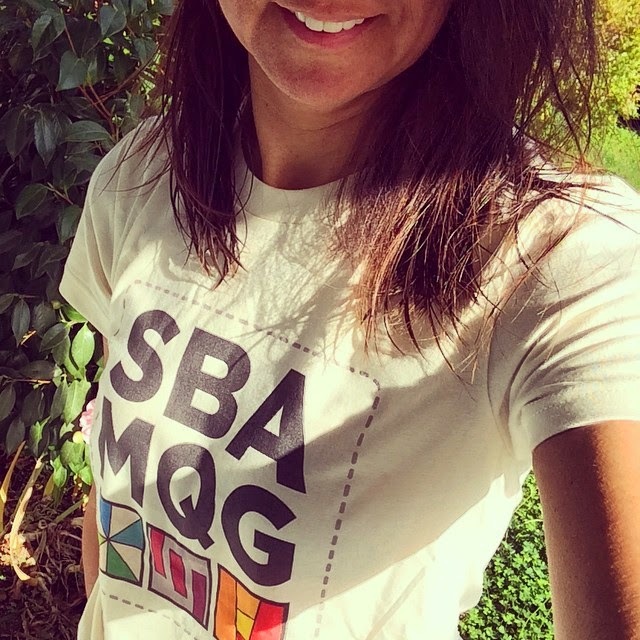 On occasion I'll still dabble thanks to my friend Sue who's kept me going ever since Art Class in High School. 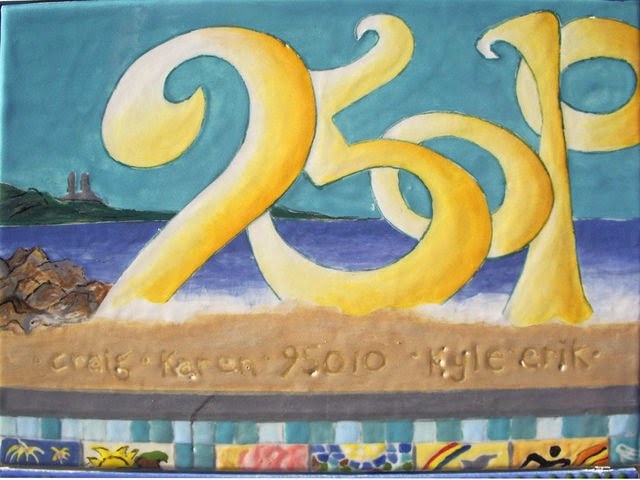 I've got treasured memories of painting while on vacation in Kauai, zentagles in the airport coming back from the Heather Ross Workshop and creating Capitola Seawall Art tiles together. 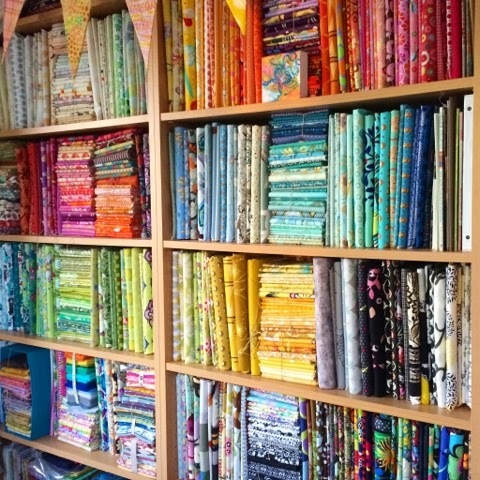 Fabric stamping is on our short list. 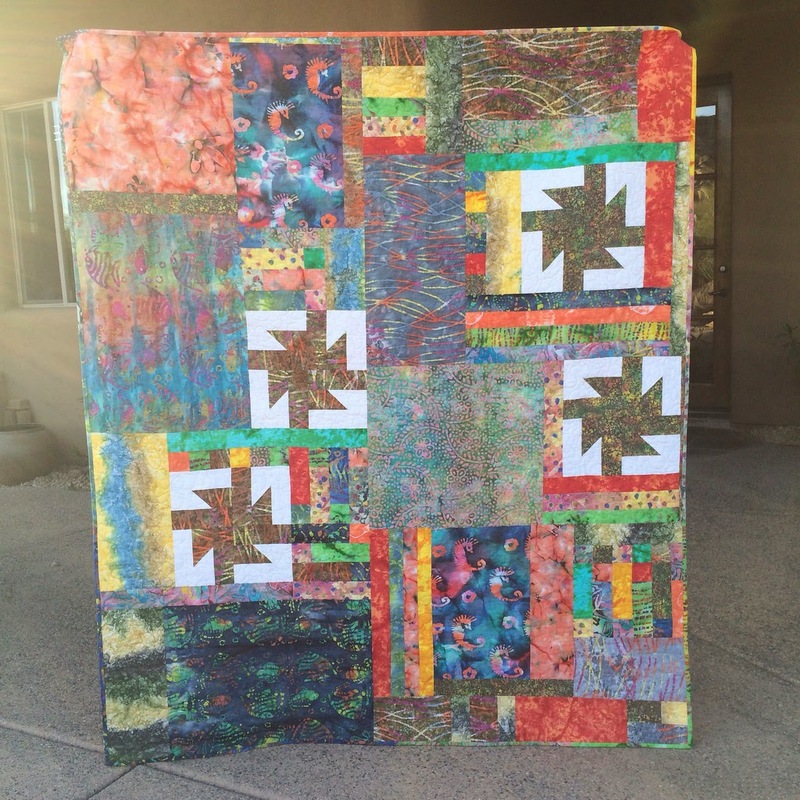 What I love about the quilting community that I've found, both at the local guilds and online is the sense of encouragement and support. 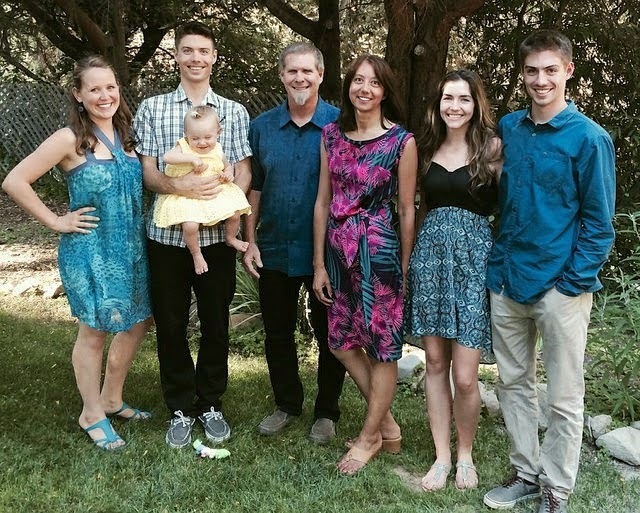 The sharing and teaching and constant inspiration. 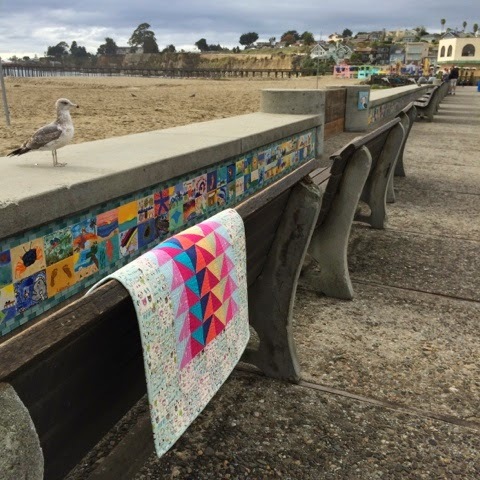 If thousands of photos on my flickr seem a bit much it's because I have the pleasure of uploading for the South Bay Area Modern Quilt Guild too. The talent in our group amazes me and I'm glad to have been there from the start and had the honor of serving as VP. Even when it's hard work it's rewarding. 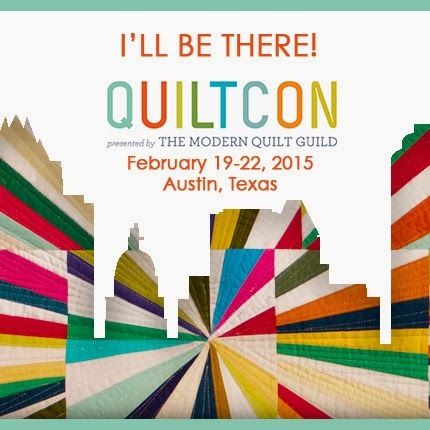 I'm looking forward to being a Super Volunteer at QuiltCon. 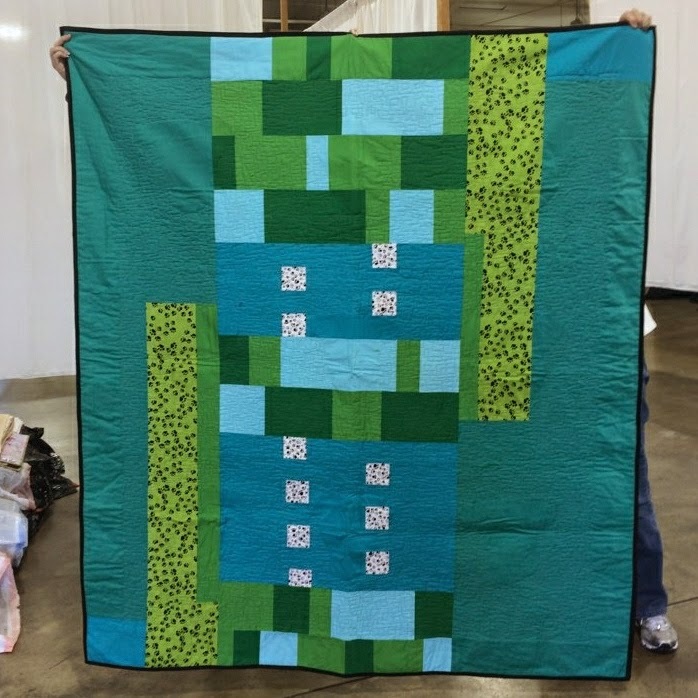 I've only been to Sewing Summit and Quilt Festival , but I find these events exhausting and rejuvenating all at the same time. 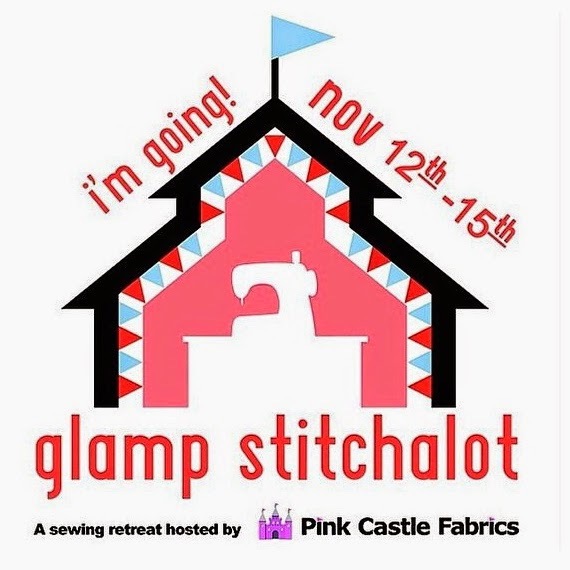 For my birthday next year, I'll be spending it at Glamp Stitchalot with hopefully new and old friends. 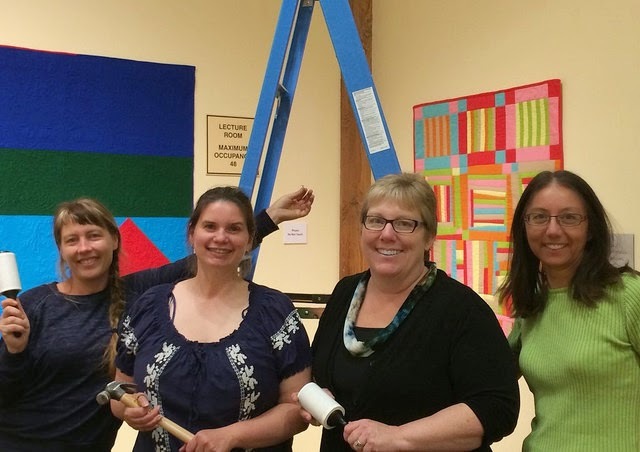 Let me know if you'll be at QuiltCon, Glamp Stitchalot or another Quilty Event in 2015. 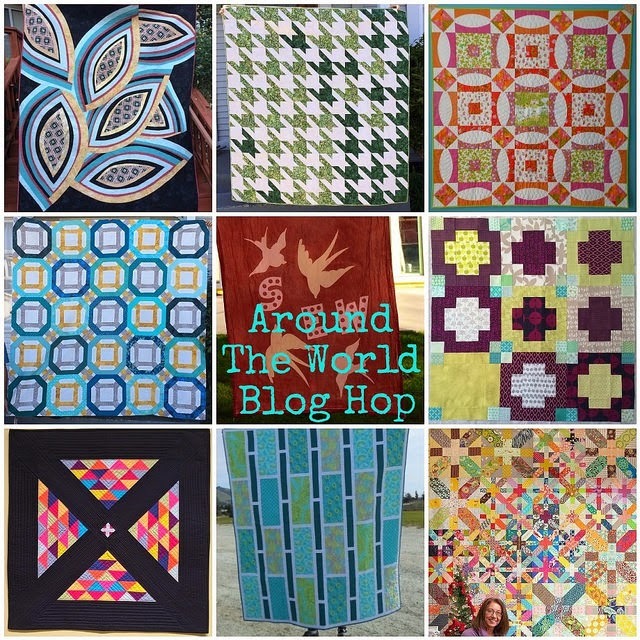 To keep the hop going, I'm tagging Debbie so be sure to check out her blog and especially her Around the World Blog Hop post Monday, January 5th to see her beautiful work and see who she tags next! 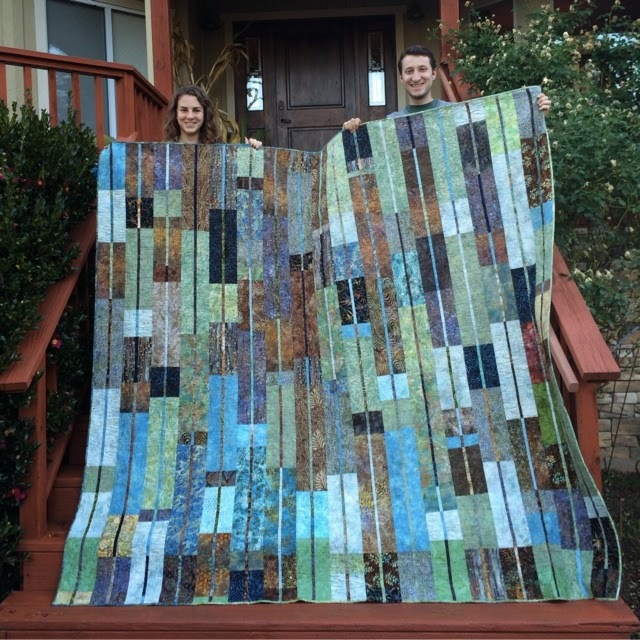 We met on flickr about 2 1/2 years ago while participating in the SuperNova QAL. 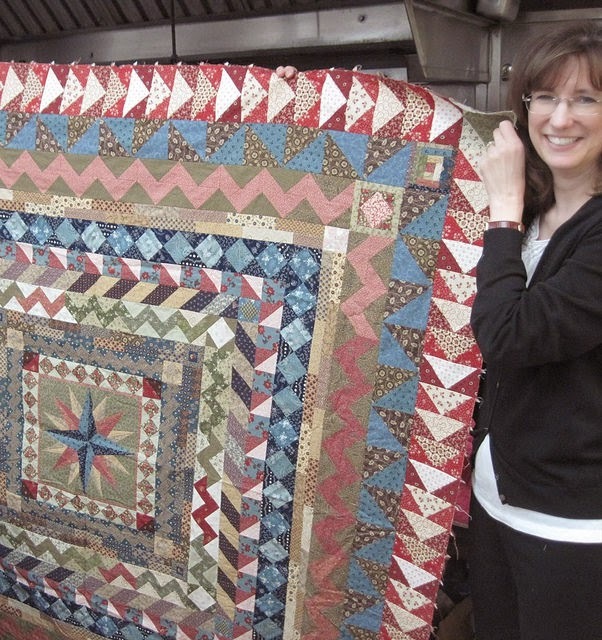 She enjoys several types of sewing and handwork: quilting, crochet, wool work and blogs at Shadows of the Blue Ridge.